If there’s one thing in La Mesa that deserves our community’s full support, it’s the La Mesa Park & Recreation Foundation, an organization first established 19 years ago to raise money for the Junior Seau Sports Complex. After granting more than $1 million toward its first goal, the foundation moved on to subsequent projects, including the construction of a new teen center in Highwood Park. The foundation now aims to renovate five La Mesa park playgrounds as part of its current capital campaign, “It’s Child’s Play.” Jackson Park’s playground was completed in 2010; Northmont Park’s nature-themed playground was completed in 2014; and Vista La Mesa’s playground is slated to be completed this year. Funds are now being raised for Collier and La Mesita parks. As with many nonprofits, the La Mesa Park & Recreation Foundation hosts an annual fundraiser to raise donations and attract participants. This year, the third annual “La Mesa Rocks” event boasts a glitzy “Great Gatsby” theme. 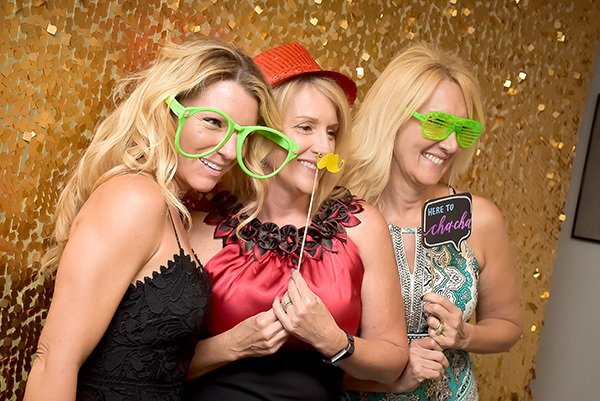 Partygoers can support the parks and related community services by donning ’20s-era wear and hobnobbing with their fellow La Mesa citizens May 18 from 6 to 10 p.m. at La Mesa Community Center. There’ll be flappers, candy cigars, a sit-down dinner, drinks and dancing. Sounds like the usual call for funds, I know, but this is a cause that is close to my heart. As with many La Mesa residents, I am a parent, which means I am usually broke. By the time our family has coughed up money for our children’s education, whether it is grade school or preschool, and paid for sports or lessons, our going-out alternatives are extremely limited. The one thing that makes my 9-year-old daughter and 2-year-old son’s days, however, is the suggestion of a day at the park followed by a Baskin Robbins treat. “Yes, the park! The park!” Quinn yells, pumping her fist in the air before trying to figure out whether she wants to pack her scooter or bike. Yep, our family loves the park. After joining the foundation’s board and the city of La Mesa’s Community Services Commission, I realized we had so many more choices than just the park across the street. If you visit the city’s website at cityoflamesa.us, you can print out the newest park guide. In fact, thanks to the guide, I’m now my family’s go-to resource for which parks offer walking paths, basketball courts, tennis courts, reservable picnic sites – where do you think Deacon’s third birthday is going to be – and barbecues. The best thing about it is, for the most part, it’s free. Sure, I have to pack our lunches, but that’s a fraction of the price of whatever I’d spend at a high-price amusement park. So even though I usually feel like Dagwood Bumstead standing there with empty pockets, once a year I’m happy to dress up and attend “La Mesa Rocks” for the good of our parks. Please consider joining me as we celebrate La Mesa’s favorite community service. “La Mesa Rocks” is May 18 from 6 to 10 p.m. at La Mesa Community Center, 4975 Memorial Drive. Tickets are $75 each online at lamesaparks.org. If you have questions, contact Misty Thompson at 619-667-1319 or at friends@lamesaparks.org. — Genevieve A. Suzuki is a local attorney who lives and works in La Mesa.